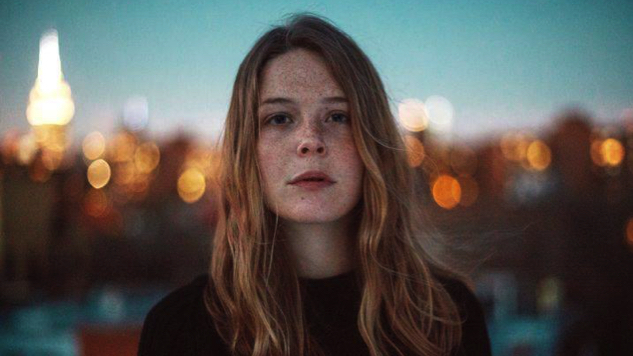 Former NYU student Maggie Rogers has unleashed another slice of her debut up Now That The Light Is Fading with her new single 'On + Off'. 2016 was a big year for the young singer-songwriter. Not only did she have a big breakout moment after Pharrell was filmed getting watery-eyed to her track 'Alaska', but she also finished the year on a number of 'Artists to Watch in 2017' lists by publications such as Billboard, V Magazine, Baeble, Pigeons & Planes, Paste and Popular Magazine. Her new single 'On + Off' is an atmospheric wonderland of magical sounds. If had to describe this track visually, it would look like a picturesque display of flowing ocean waves. 'On + Off' is incredibly mesmerising from start to finish, and winds beautifully. 2016 might have been Maggie Rogers' breakthrough year, but 2017 is on track to be a major one for her. We can't wait to see how the rest of her EP unfolds.